Ah, summer. The abundance of fresh fruit is almost overwhelming each time I visit the grocery store or farmer's market. I want to buy it all and go home and bake and cook and make jams until I'm red in the face from the heat in my kitchen! I love almost all fruit, but I'm not a watermelon fan. I like the flavor in gum and icees though, is that strange? I think it is a texture thing. Anywho, I picked up some beautiful fresh peaches, knowing I was going to make a tart with them. Don't they have the most wonderful color? I am all about easy, and this recipe is just that! You could go all out and bake your own pie or tart crust, but I chose to get the refrigerator kind. They are marvelous in recipes like this! The hardest part was peeling and slicing the peaches. But, you could check out my post on the easy way to peel a peach, and you'll be all set to go! In a mixing bowl combine the sugar, cornstarch, and ground cinnamon. Unroll the pie crust onto a baking sheet or stone. 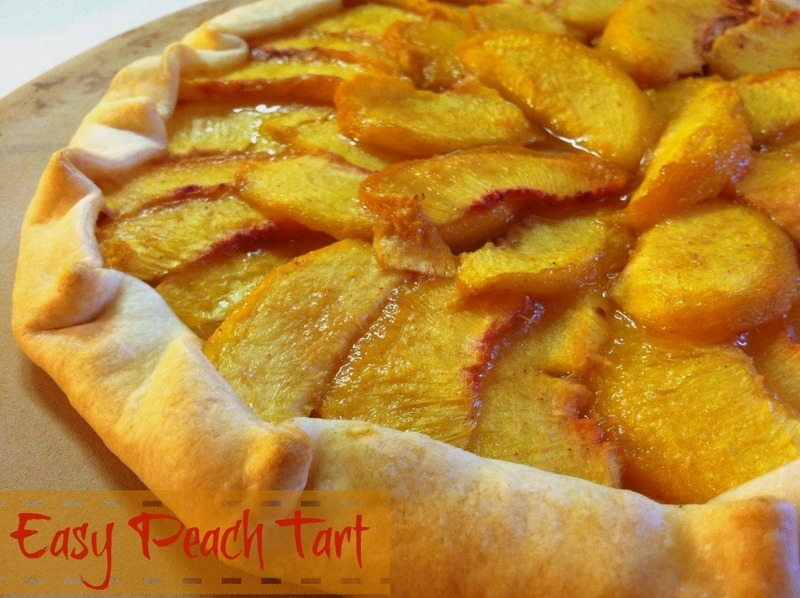 Using a slotted spoon, scoop out the peaches and place into a mound in the center of the pie crust, or arrange however you'd like, leaving about an inch for the crust all the way around. Do not pour the juice that has formed from the bowl into the tart. 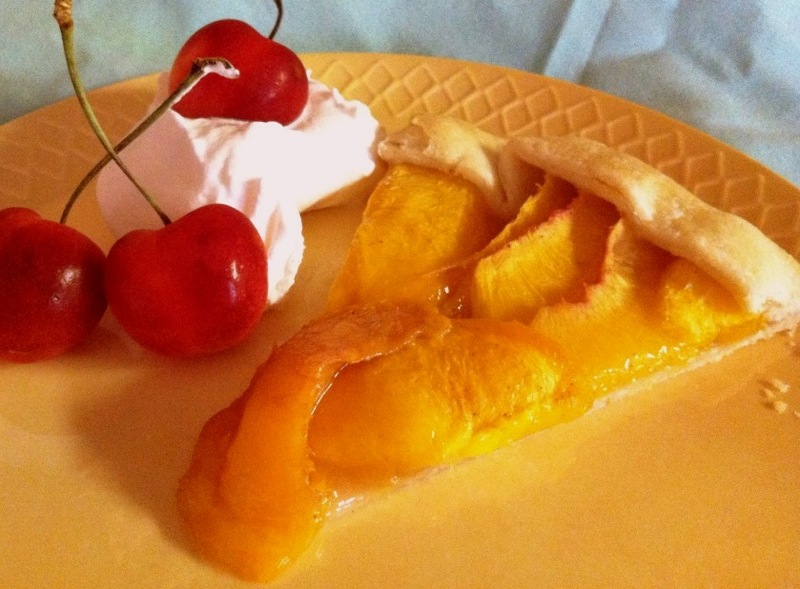 Fold the pie shell up just over the edge of the peaches to hold them in and to make a crust.